Tourism Tribe is a genuine peer to peer community of tourism operators, industry and digital experts in a supported learning environment. Tourism Tribe is relentlessly committed to help tourism businesses stays up-to-date with transformative technology and business opportunities brought by the new traveller and leverages these new opportunities in the most time and cost-effective manner. The Tourism Tribe platform is built leveraging interconnected free cloud platforms available to anyone, from anywhere, to deliver cost-effective training and the ability for any business, independently of their location, to share best practices without reinventing the wheel. Join over 1,600 likeminded tourism businesses today and gain the tools and knowledge to beat your competition. Liz is a committed advocate for innovation in marketing and distribution and recognised expert in strategy with more than 20 years experience specialising in travel and tourism. Over her successful career Liz has created and implemented strategies that have played a pivotal role in establishing travel destinations and tourism businesses in the contemporary market place. Liz has pioneered many first-time digital transformation initiatives that have had lasting impacts including starting up the Australian Tourism Data Warehouse (ATDW) and being its CEO for over ten years. Liz is the co-founder of the innovative tourism online learning community, Tourism Tribe, which launched in July 2015 and is already providing online coaching and support to over 1,600 tourism operators around Australia and the world. Tourism Tribe was awarded in the Queensland Tourism Industry Innovation Awards in 2016 and in its inception in the UNWTO Innovation Awards in 2015. Liz is also is Managing Director of Digital Coaching International – a network of experts who assist businesses through digital transformation of their marketing and operational processes. Liz is able to pull together a team of tourism experts with the relevant, specific experience to meet the clients’ needs. 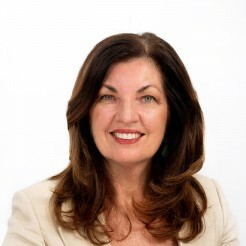 Liz has been a director on several boards, including Tourism and Events Queensland, Queenslanders Credit Union and presently is on the board of Women Chiefs of Enterprise, Australia. Liz is also President for Women Chiefs of Enterprise, Queensland. Fabienne (Fabie) is a digital strategist who exceeds in her field of empowering tourism professionals to make the most of digital technology in their business ventures. She is an advocate for digital self-sufficiency within businesses and her hands-on approach has enabled thousands of small and large business owners with the tools and knowledge to make a living from Tourism. Fabienne’s special blend of digital know-how, tourism knowledge, her training and coaching skills, ability to think outside the box and a natural gift for communication make her a sought after consultant, workshop facilitator and speaker in her field. Fabienne has developed some of the best performing customer-facing websites and digital coaching programs in the tourism industry. She is also the co-founder of the worldwide digital phenomenon, Tourism Tribe, which has an online community of 1,500 businesses. Fabienne holds a Bachelor and Masters in Information & Communication Systems (University of Geneva, Switzerland), a Masters in International Tourism & Hospitality Management (Griffith University, Australia), a Certificate IV in Training & Assessment and a Certificate IV in Small Business Management. She was also awarded Young Achiever of the Year – Queensland Tourism (2010) and received the Griffith University Business School Young Outstanding Alumnus Award (2011). 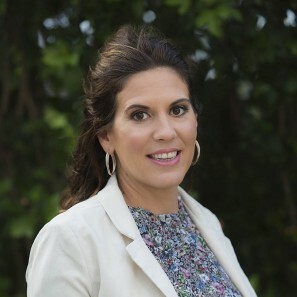 Fabienne has been a director on several boards, including Queensland Tourism Industry Council and is currently Vice President of Discovery Coast Tourism and Commerce. Fabie is also a Queensland Digital Champion (Queensland government). Fabie practices what she preaches, living a balanced connected lifestyle in the beachside community of Agnes Water/1770 (Central Queensland), with her head in the digital world and both feet firmly planted on the sandy ground.